Chinese ecommerce giant Alibaba Group filed for a nominal $1 billion initial public offering on Tuesday after weeks of anticipation. The company's filing offers a peek inside the business that controls roughly 80 percent of China's online commerce market. The $1 billion figure is a placeholder; the ultimate offering is expected to be much higher. "By the time we get the first day of trade we are looking at over $200 billion" valuation, said Larry Haverty, Gabelli Funds portfolio manager, in an interview. Alibaba listed revenue of $5.66 billion and net income of $2.85 billion for the nine months ended December 31 in a filing than ran to more than 330 pages. It also had a sizable cash hoard of $7.88 billion as of the end of last year. 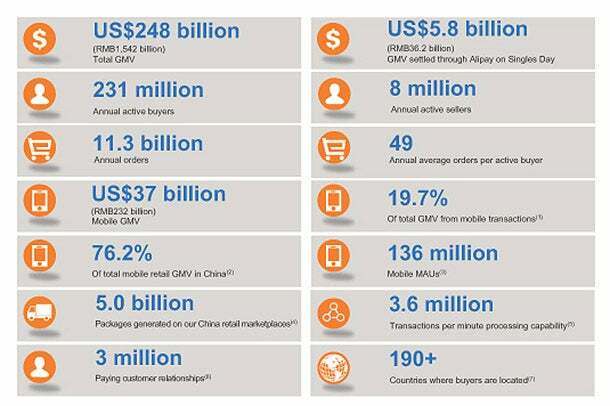 Recent estimates have valued Alibaba between $150 billion to $200 billion. That suggests the planned IPO could raise up to $15 billion, making it one of the biggest Internet IPOs since Facebook's listing in 2012. "Here's what I like, the company is actually making money. For a tech company, Hallelujah," said Brian Hamilton, the chairman and co-founder of Sageworks, in an interview. John Sculley, former chief executive of Apple, recently told CNBC that the Chinese ecommerce giant is the "hottest thing in high tech right now." Alibaba operates in the world's largest Internet market—China. With 24,000 employees, more people work for the company than Yahoo and Facebook combined. Yahoo owns 22.6 percent of Alibaba, according to the IPO filing. Its shares were flat in after-hours trading following the news. At a $150 billion valuation, Yahoo's stake in Alibaba would be worth nearly $34 billion, compared to Yahoo's total market capitalization of $36.7 billion. Alibaba.com is part of the Alibaba Group, founded in 1999 by Jack Ma, a former English teacher from Hangzhou, China. Alibaba.com first became profitable in 2002. 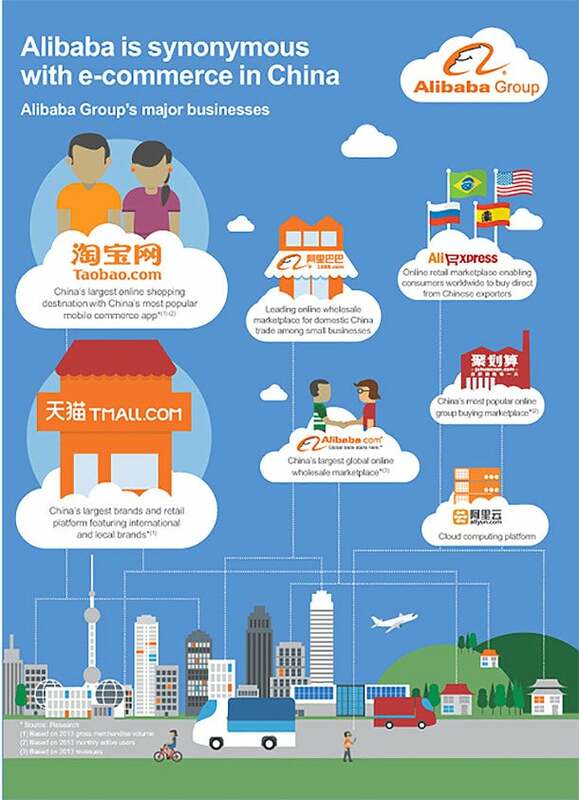 Alibaba Group's other platforms include Taobao, Tmall and Alipay. The latter is an online and mobile payment platform. A big annual event for Alibaba occurs on Nov. 11, when the company conducts a huge online shopping sale that coincides with "Single's Day" in China. That's when young Chinese lament or celebrate being single. The most recent Single's Day generated some $5.7 billion in sales, even though only a fraction of Chinese shoppers have broadband access, said Anthony Scaramucci, founder of SkyBridge Capital, on a recent "Closing Bell." "It just shows you the power of this brand. I think this thing trades through the $200 billion market cap number, that's our opinion." In addition to Yahoo their other key listed shareholder is Japan's SoftBank. CEO Jack Ma also holds an 8.9 percent stake in the firm. If Alibaba debuted at a $200 billion valuation, his holdings would place him among the world's 50 richest people, based on Forbes' latest list of billionaires. Looking ahead, Alibaba's growth strategy includes appealing to consumers—outside China—and familiarizing the globe with its brand, and site offerings. Beyond Alibaba, more Chinese companies have been on investors' radar. Weibo, a Chinese microblogging company similar to Twitter, debuted on the Nasdaq last week. Credit Suisse, Deutsche Bank, Goldman Sachs, J.P. Morgan, Morgan Stanley and Citi were listed as the underwriters on the offering.